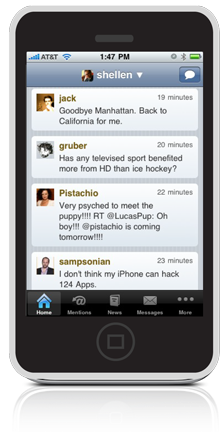 Brizzly, a web-based Twitter client that has much more features than the twitter website, is releasing its iPhone app.It includes few new features when compared to its web version. This Brizzly iPhone app is simple in layout and incorporates features that are common among other twitter client for iPhone.This app can handle multiple accounts, supports lists, mentions and DMs etc. Links that you add gets shortened too. Altogether an app with all basic features one would expect it to deliver. Download Brizzly for iPhone now.